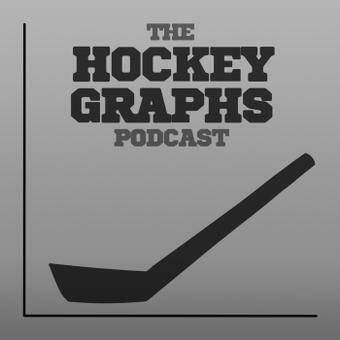 Welcome to the second episode of the Hockey Graphs podcast, where Rhys Jessop (of Canucks Army and That’s Offside) and Garret Hohl continue talking about hockey while learning how to podcast. Join us as we discuss the CSS rankings, Vancouver Canucks, Winnipeg Jets, Toronto Maple Leafs, the NHL’s disciplinary practices, and the up coming All-Star game. Here is the article on Shea Weber we mentioned. We were literately learning what we were doing on the fly, so enjoy some amateur hour. We promise we’ll get better with practice (we hope!). We plan on doing these once a week so get ready and enjoy! ← The relationship between Corsi% and winning faceoffs. You were getting to such a solid statement, Garret, and then you made up a word. Ya… I sometimes do that. Also said peoples twice. Caught myself on it only once. Irregardless, it was another great podcast.